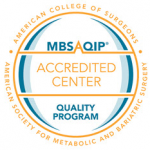 At Dr. Clark’s Center for Weight Loss Success we believe that bariatric surgery in Virginia should be affordable. That is why we have the most competitive prices around. This, coupled with Dr. Clark’s expertise, makes the weight loss surgery options at the Center for Weight Loss Success your prescription for long term weight loss. We are excited that many of our patients have been able to make their weight loss dreams become reality through Medical Financing. If you’re interested in hearing more about this option, please contact Dr. Clark’s surgical coordinator, Cat Williamson: cat@cfwls.com, or visit the medical financing website at Prosper HealthCare Lending. Pedro Hernandez Made the Investment, Will You? from Center for Weight Loss Success on Vimeo. If self-pay surgery is not an option at this time, please remember that Dr. Clark’s Center for Weight Loss Success offers many other nonsurgical options to help you get started on your healthy journey today! Weight Management University for Weight Loss Surgery™ is a comprehensive program that blends nutritional guidance, behavior modification and educational support and is designed to meet all of our patient’s needs (near and far!). The educational curriculum is presented to you one chapter at a time, and right to your doorstep! Each chapter is specific to “where you are” in your weight loss journey. It ensures that your weight loss and weight maintenance has the best chances for lifelong success. On-line live access to Dr. Clark via weekly webinars will keep you mindful and ready for healthy steps as you move forward with your success. If you have questions, ask him right then and there (he loves that!). Weekly exercise and behavior modification classes led by Certified Personal Trainers & Lifestyle Weight Management Coaches will help you to get fit while you overcome life barriers. There are many great things going on at the Center and we keep you “in the know”…from healthy recipes, to support group…and don’t be surprised if you find Dr. Clark flipping turkey burgers at one of our monthly parties! Arm yourself with knowledge about all aspects of weight loss surgery and long term weight management with Weight Management University for Weight Loss Surgery™ offered exclusively at Dr. Clark’s Center for Weight Loss Success. Was this helpful or informative? Share it!